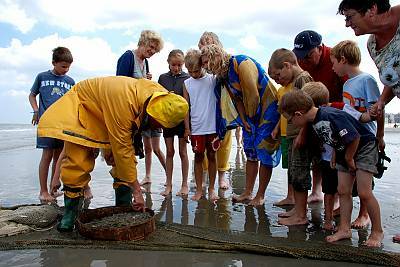 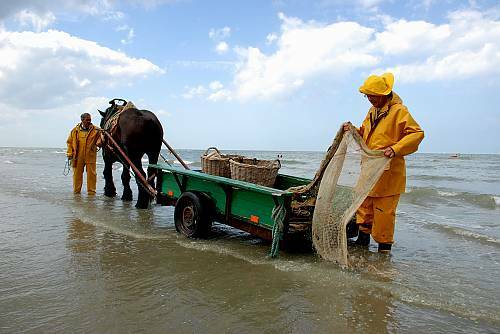 Twelve households in Oostduinkerke are actively engaged in shrimp fishing: each has its own speciality, such as weaving nets or an extensive knowledge of Brabant draft horses. 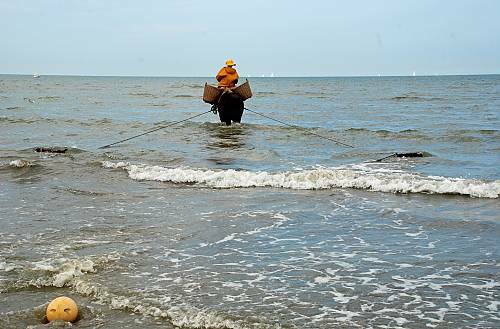 Twice a week, except in winter months, the strong Brabant horses walk breast-deep in the surf in Oostduinkerke, parallel to the coastline, pulling funnel-shaped nets held open by two wooden boards. 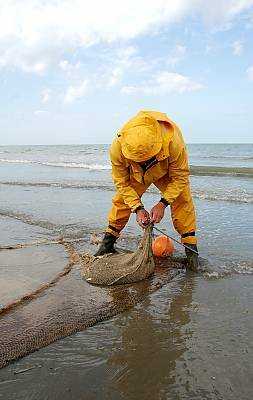 A chain dragged over the sand creates vibrations, causing the shrimp to jump into the net. 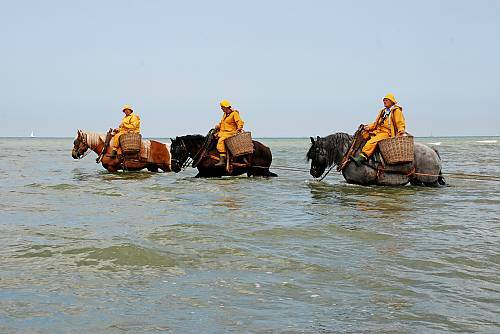 Shrimpers place the catch (which is later cooked and eaten) in baskets hanging at the horses’ sides. 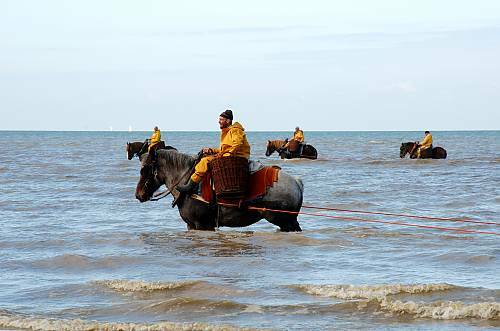 A good knowledge of the sea and the sand strip, coupled with a high level of trust and respect for one’s horse, are the shrimpers’ essential attributes. 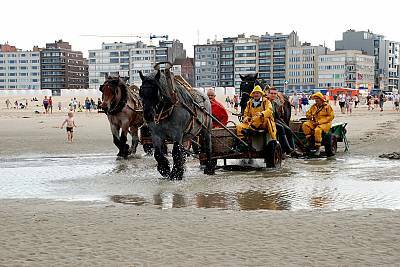 The tradition gives the community a strong sense of collective identity and plays a central role in social and cultural events, including the two-day Shrimp Festival for which the local community spends months building floats, preparing street theatre and making costumes. 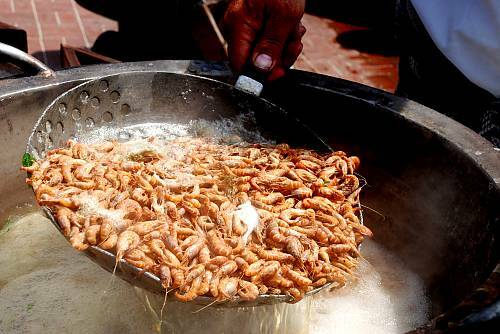 The shrimp parade, and a contest involving hundreds of children being initiated into shrimp catching, attract over 10,000 visitors every year. 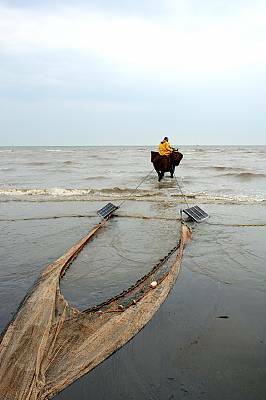 The shrimp fishers function on principles of shared cultural values and mutual dependence. 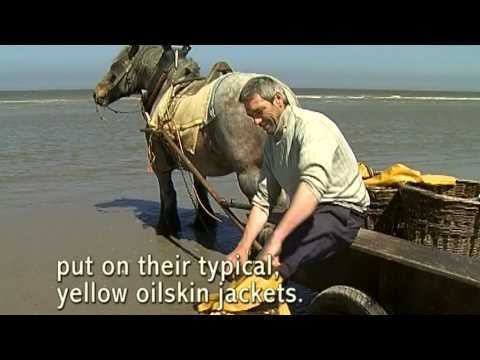 Experienced shrimpers demonstrate techniques and share their knowledge of nets, tides and currents with beginners.